Today, investigators with the Combined Forces Special Enforcement Unit of British Columbia (CFSEU- BC) and Vancouver Island Integrated Major Crime Unit (VIIMCU), arrested Richard Ernest (Ricky) Alexander, well known as the President of the Devils Army Motorcycle Club based in Campbell River. 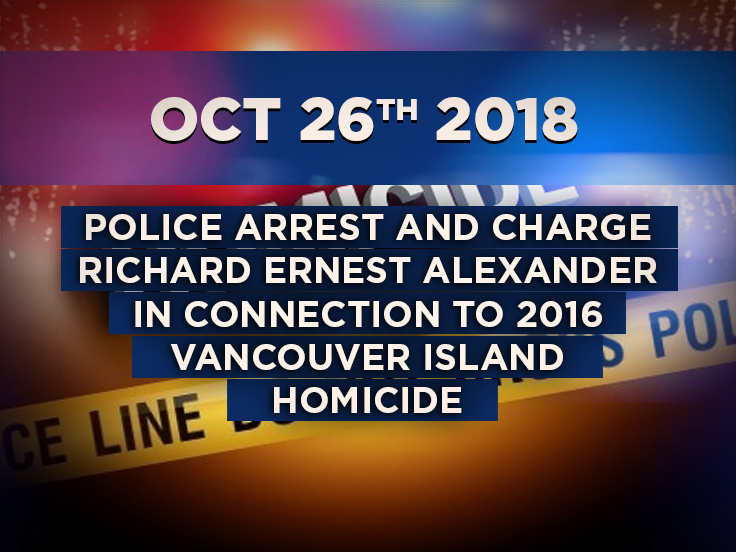 Ricky Alexander has been charged with First Degree Murder, in connection to the March 2016 homicide of John Dillon Brown. Dillon Brown, as he was commonly known, was found deceased inside his car near the west side of the one-way bridge to Sayward, about 75 kilometers from Campbell River on the evening of March 12th,2016. His murder was deemed a “targeted” homicide. See associated media releases here and here. Since the homicide, the collaborative investigation between the CFSEU-BC and VIIMCU has been very active and has involved over 200 police officers. On August 10th of 2017, members of the CFSEU-BC and VIIMCU executed a search warrant at the Devils Army Club House in Campbell River in connection to the murder of Dillon Brown. See associated media release here. This collaborative effort has enabled investigators to collect the necessary evidence to effect the arrest and secure a charge of First Degree Murder against Ricky Alexander. Ricky Alexander is one of the founding members and current President of the Devils Army Motorcycle Club. The Devils Army is a “1%” outlaw motorcycle club and has been in existence and based in CampbellRiver since 2009. Ricky Alexander will be held in custody pending further court proceedings. 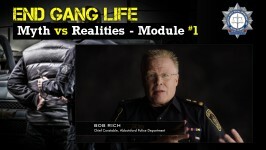 “While a charge of First Degree Murder is significant in any circumstance, this charge is particularly significant as it involves a long-time high ranking member of an Outlaw Motorcycle Club”, says Chief Superintendent Trent Rolfe CFSEU-BC Chief Officer. “The RCMP in BC, CFSEU- BC, along with all of its law enforcement partners across the country, are committed to ensuring that Outlaw Motorcycle Gangs and their associates remain a priority due to the level of violence and harm they inflict on our communities. This investigation showcases that a collaborative, coordinated and focused approach can gather the evidence necessary to ensure that those responsible are brought before the courts.”, says Assistant Commissioner Kevin Hackett, RCMP“E“Division – Criminal Operations Officer Federal, Investigative Services and Organized Crime. The CFSEU-BC and VIIMCU would like to acknowledge and thank all of the agencies and individuals who assisted during the course of this investigation. They include, but are not limited to, Campbell River RCMP, Sayward RCMP, as well as numerous Municipal and BC RCMP Divisional resources.